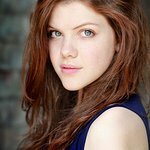 Georgie Henley, who plays Lucy Pevensie in the Narnia series of films, is fronting a very special charity campaign in the leadup to the release of the latest installment – The Voyage of the Dawn Treader. “When our characters first came into Narnia, it was always winter and never Christmas,” says the 15-year-old actress. "Sadly today, for million of children around the world, it’s still always winter and never Christmas. That is why 20th Century Fox and Walden Media are proud to partner with the Samaritan Purse project, Operation Christmas Child. Georgie Henley learnt to pack one of the boxes herself, and is challenging you to do the same. To watch a video and find out more about the initiative, click here.